Most homes have areas where energy is wasted or overused — and wasted energy costs money you could be keeping in your pocket. You could try to search your home for energy saving projects yourself, or you could call in a professional – at no additional cost to you! A Quick Home Energy Checkup (QHEC) is when a contractor comes to your home and provides tips, and energy and water saving measures that can equal up to $100 in savings. 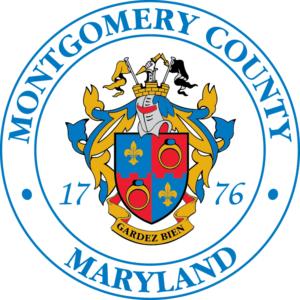 All utilities serving Montgomery County offer QHECs, at no additional cost to you if this is the first QHEC at your property. They’re not as detailed as a full Energy Audit, but are the first step towards major energy savings. The best part about Quick Home Energy Checkups is that you don’t have to do it alone. Your utility will send someone to help you save energy and money. QHECs are available to those who pay their own utility bill in Maryland and have not had a QHEC at their home before. Your first step is to call your utility provider. Tell them you would like a QHEC and schedule your appointment. Read our blog and watch videos on each of the steps of a QHEC and what you can expect. What is the Difference Between a QHEC and an Energy Audit? As described above, a QHEC is an introduction to energy savings that provides up to $100 in energy actions and tools. If you are looking for a more intensive inspection of your home to save energy, you might want to consider an Energy Audit. We recommend an Energy Audit after you get a Quick Home Energy Checkup. You could talk to the QHEC contractor as to whether an Audit is right for you. For apartments or condos, an Audit does not make sense, as you do not have access to the whole building equipment in your unit. Combustion and safety testing to detect carbon monoxide and natural gas leaks. An additional benefit of an Audit is that the contractor will provide you a list of rebates you may be eligible for through your utility. Some rebates require you have an audit before accessing the financial savings. An audit is great for those needing major HVAC or structural upgrades. The Audit takes more time than a QHEC, and it also comes with a cost. While a QHEC is at no additional cost to you, an Energy Audit costs $100 in Maryland. In many other places, an Energy Audit would normally cost around $400. To schedule an Energy Audit, contact your utility. Thanks to the EmPOWER Maryland Program, QHECs are provided at no additional cost to you. And the benefits are huge!